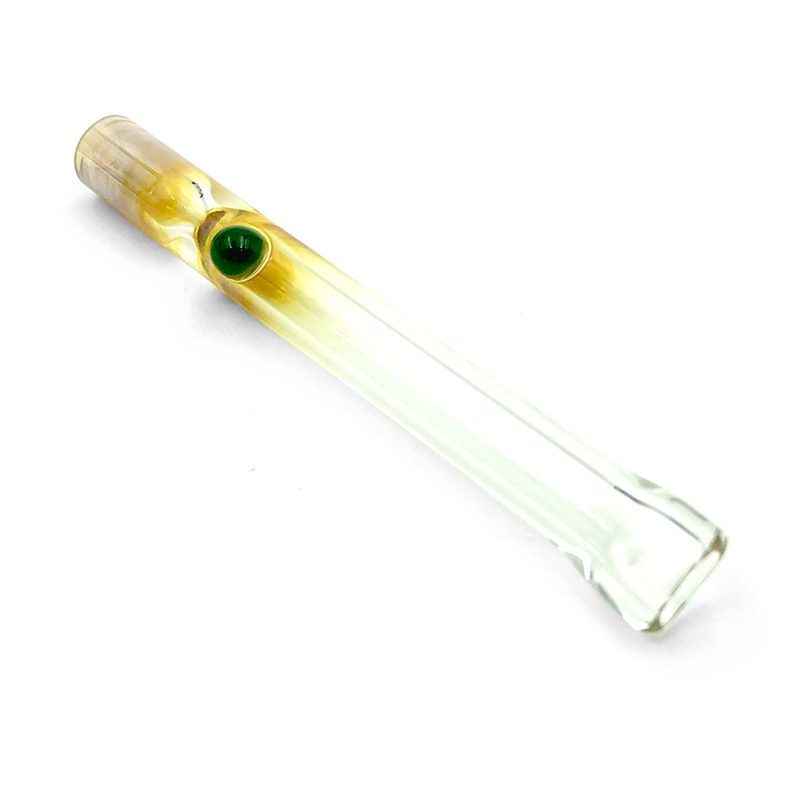 These Slim Chillums feature some nice silver fuming and have a dot of glass that prevents it from rolling off the table. Mouthpiece is tapered. Coloring may vary.